* A player called Edmund Sakyi has forced his way into the first team of Aduana Stars FC, having played four matches (two from start and two substitute appearances) so far this season. I believe this is the same “Edmund Sakyi”, a defender, that played for Eleven Wise FC in 2008-2009 and Great Olympics in 2009-2010. * Benjamin Arthur is an exciting prospect at Amidaus Professionals FC. The central midfielder has been ever-present so far this season (eight matches) and earlier this month, Arthur was included in a pre-selection squad of the Ghana B national football team. Arthur was a key member of the team when Amidaus Professionals FC won promotion last season. * Striker Adjei Selasi of Amidaus Professionals FC has scored two goals in two matches. Selasi scored regularly when Amidaus Professionals FC won promotion last season. * On 18.11.2012, centre-back Rashid Sumaila (born 18.12.1992) finally made his official debut for Asante Kotoko FC after his transfer from Ebusua Dwarfs. In the following match, on 25.11.2012 against Tema Youth FC, the powerful defender scored his first goal for the Porcupine Warriors. Asante Kotoko FC currently has four quality central defenders fighting for the two starting places; Sumaila, Kwabena Adusei (born 03.06.1987), Henry Ohene Brenya (born 04.05.1985) and Smallboy Korbah. Personally, I think Adusei and Sumaila will be preferred as the season goes by. The picture is of Sumaila and was found on SuperSport. * It is impossible to write about football in West Africa without making mistakes. I have previously written that Kwadwo Poku of Heart of Lions FC is the “strong winger / striker [born 05.05.1985]who played professionally at FC Midtjylland (Denmark)”. Unfortunately, I jumped to this conclusion when I saw Poku enter the match between Asante Kotoko FC and Heart of Lions FC on 21.10.2012. Kwadwo Poku of Heart of Lions FC is in fact a young midfielder, born 01.12.1993, and a former reserve team captain of Asante Kotoko FC. Poku has so far played four matches for his new club (two from start and two substitute appearances). * I believe that Felix Baffour of AshantiGold SC is the former centre-back of Medeama SC, born 12.10.1991. Baffour has played three matches for his new club so far this season. * Before the season, AshantiGold SC signed Abdul Karim Yusif, sometimes referred to as “Karim Yusif”, from Wassaman United FC. Yusif, primarily a left-back, has played five matches so far this season. * What is wrong at Berekum Chelsea FC? The ambitious side shockingly lost 4-1 to Ebusua Dwarfs on 25.11.2012 and they have not looked very sharp so far this season. My theory is that the club is missing midfield general Mohammed Abdul Basit (born 19.01.1986). Basit, who captained the side last season, has only played one match this season and has been on the bench in three. I don’t know what has happened to the hard-working, disciplined midfielder but he could be suffering from injuries or a loss of form. I have seen Berekum Chelsea FC quite a few times the last couple of seasons and Basit has been a major influence in the middle of the park. 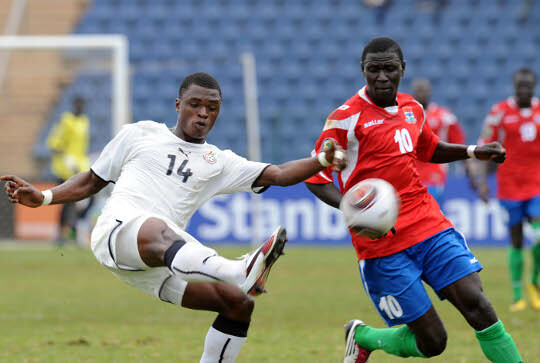 Currently, the midfield of Berekum Chelsea FC is being run by Solomon Asante – the mercurial midfielder who played a couple of friendly matches for Burkina Faso before he made his full international debut for Ghana earlier this year. * Ebusua Dwarfs is having a fairytale start to the new season, mostly because of smartness during the the pre-season transfer window. Dwarfs signed three players from the prominent Unistar Soccer Academy; right-back Christopher Bonney, midfielder Ricky Adjei Mensah (born 01.02.1992) and versatile attacker Francis Attuquaye. The pacy Bonney has been brilliant at right-back, impressing with overlapping runs and pin-point crosses. Mensah has been ever-present so far, dictating the play from his central midfield role. Some of the qualities of Mensah can be viewed in this clip: http://www.youtube.com/watch?v=-b4M_raLif0&feature=plcp. Other smart signings include left-back / left-winger Francis Morton from Liberty Professionals FC and defender Vincent Atingah. * Ebusua Dwarfs has signed Guinean goalkeeper Adama Koné, formerly of Stella Club in Ivory Coast. Koné has been on the bench during the last three matches of the club. * I am not sure but I believe the striker called “Sheriff Deo” or “Sherif Doe” at Heart of Lions FC is big striker Sherif Deen Mohammed (born 20.06.1986), formerly of CR Belouizdad (Algeria). * On 25.11.2012, Romeo Agban made his debut for Hearts of Oak SC. Agban, who played for Great Olympics during the GLO Premier League 2009-2010, is an attacking midfielder with a lot of creativity.